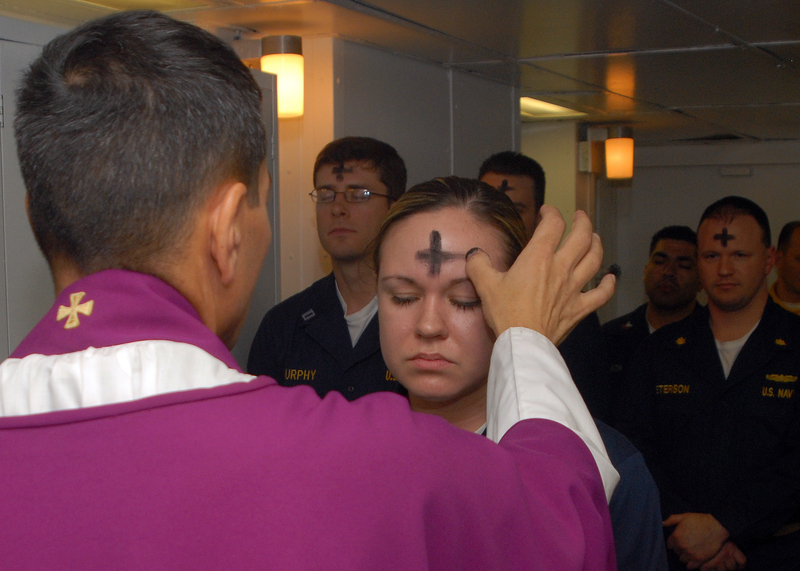 For Catholics, Ash Wednesday (the day after Mardi Gras) is the beginning of Lent, which lasts for forty days. For every Catholic, it is a day to confront the inevitability of his or her death, and for that day, we wear the sign of that inevitability on our foreheads in ashes. The ashes we receive on our forehead in the shape of a cross serve as an outward sign of our sinfulness and need for penance. The ashes also symbolize our mortality, a reminder that one day we will die and our bodies will return to dust. Traditional words when we receive the ashes are: Remember that thou art dust and unto dust thou shalt return. So, Ash Wednesday is a time of self-examination, and of our faith in the promise of eternal life. Can we turn down the noise in our lives for forty days and listen to what God wants to tell us? Because if we don’t listen, we won’t hear him call us by name–our name. We won’t hear that we should not be afraid. We won’t hear that God is madly in love with each one of us. We won’t hear what we can do to change ourselves. Is there something in our lives that might prevent eternal life? If there is, we have an opportunity to change it. We know who we are. We know we’ve done. Shouldn’t we examine ourselves and work on the problems we may have? that would have brought you joy. the way that you first trod.